*Density & Thickness of the Hair Transplant Results depends on the number of grafts utilized! 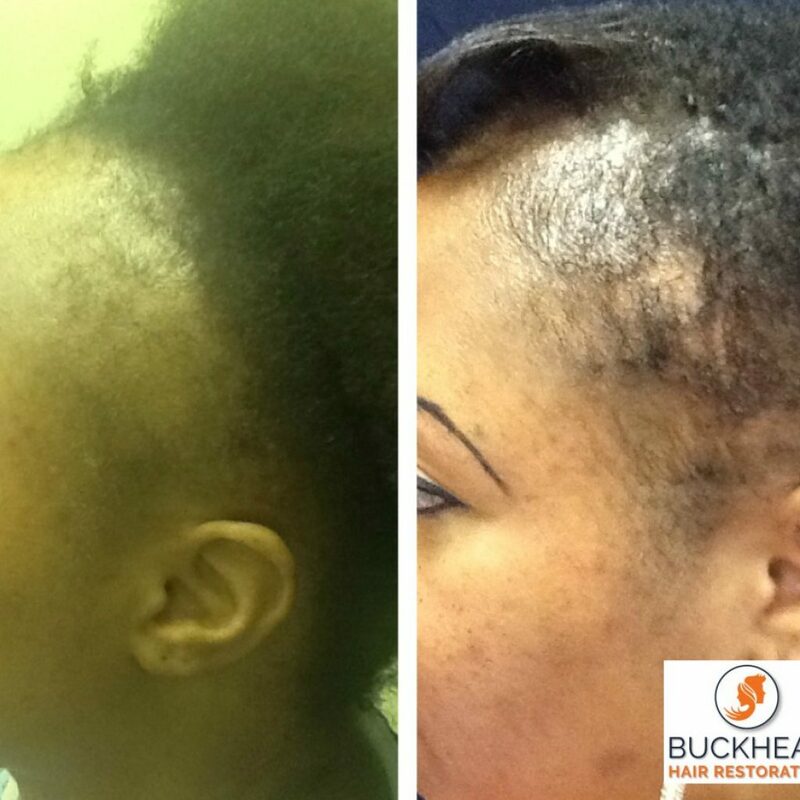 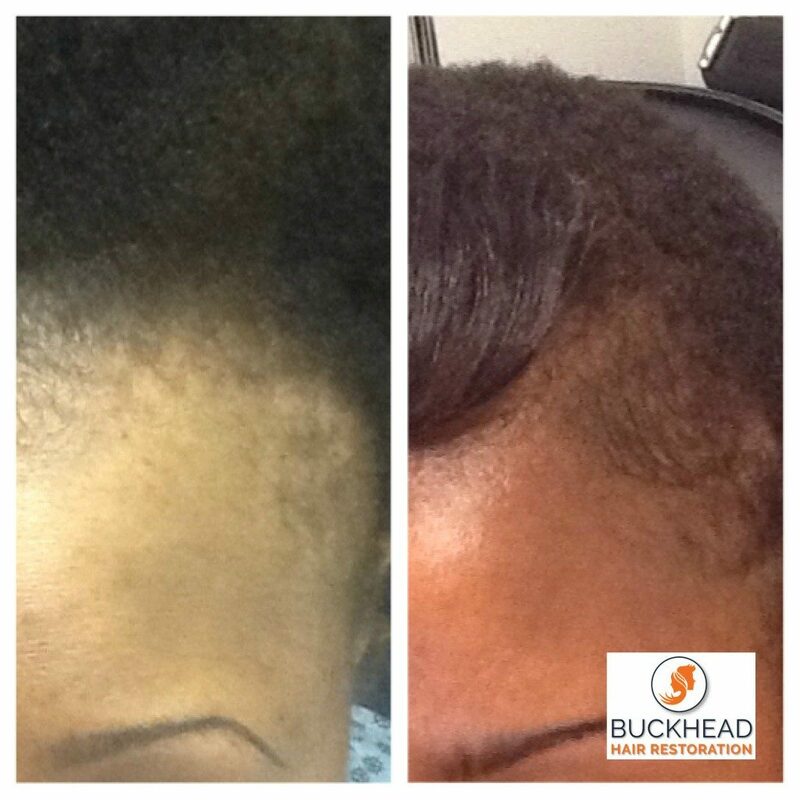 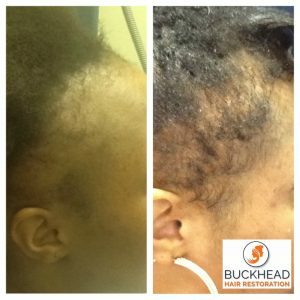 Featured below are the Before and After Photos of a young African American Female that suffered from hair loss due to “Traction Alopecia.” Tight hairstyles, weave, braids, and even ponytails can cause permanent damage to the hair follicles. 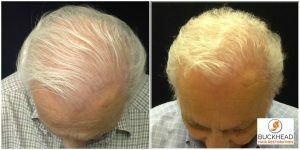 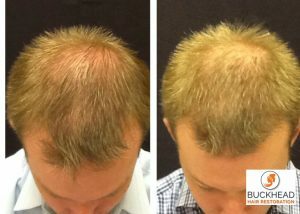 The results shown below were achieved with the combination of FUE Hair Restoration and PRP Therapy. 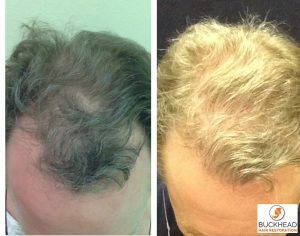 Any FUE Hair Transplant below 2000 grafts per session is considered a low graft hair transplant. 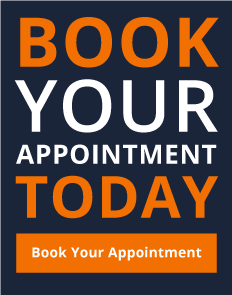 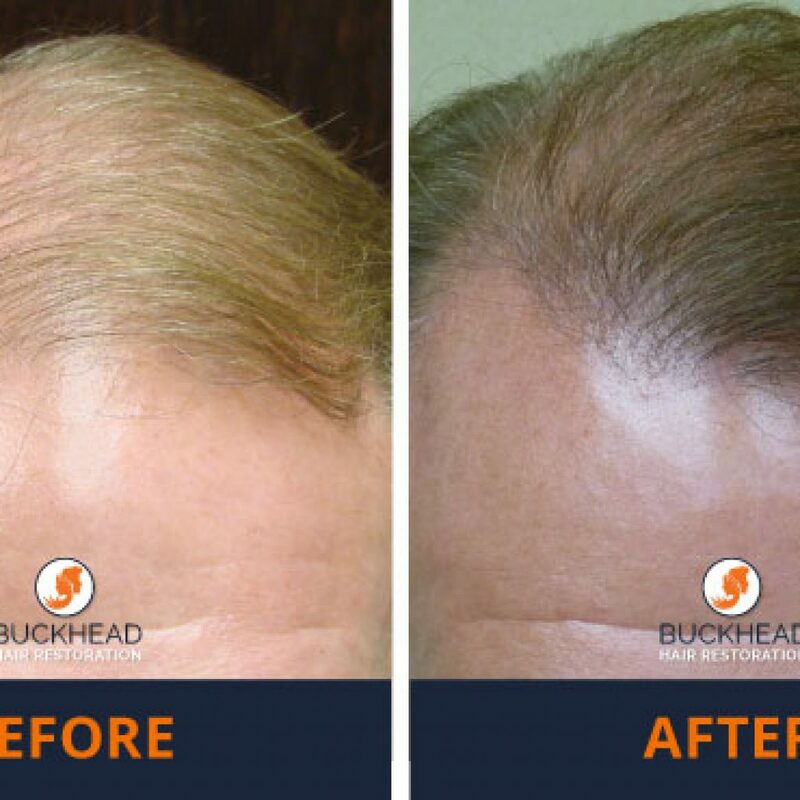 *Hair Transplant Results vary from patient to patient and are not guaranteed. 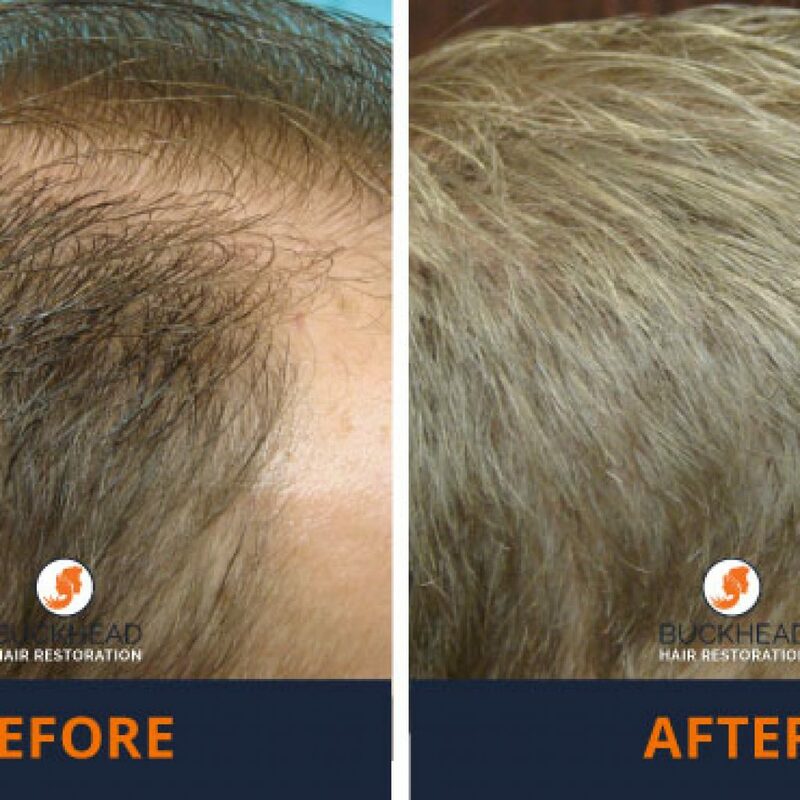 FUE Hair Restoration causes no linear scar and is minimally invasive. PRP Therapy requires no downtime and can be performed multiple times per year for better results. 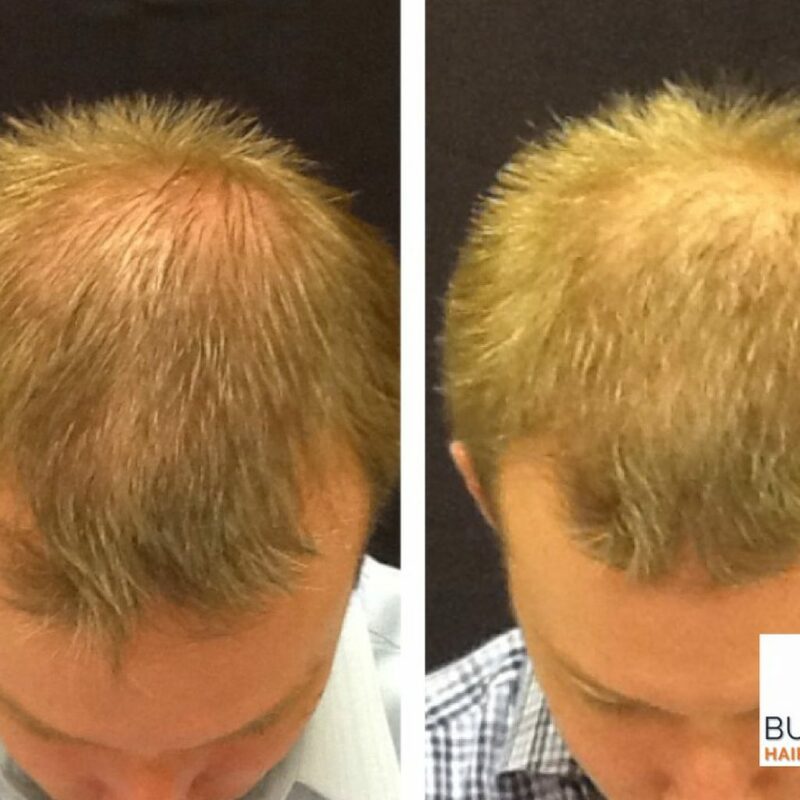 FUE Hair Restoration causes no linear scar and is minimally invasive. 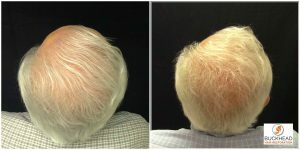 Graft count needed for full coverage is determined by Dr. Monte Slater and may require multiple transplants. Hair density and thickness is determined by the graft amount utilized. 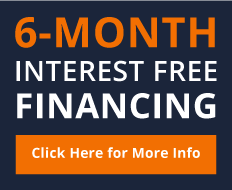 Graft amount depends on the Patient’s donor site and their budget. 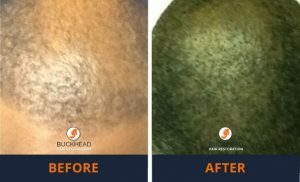 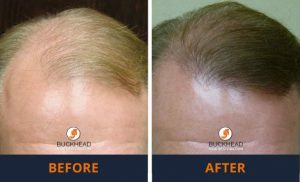 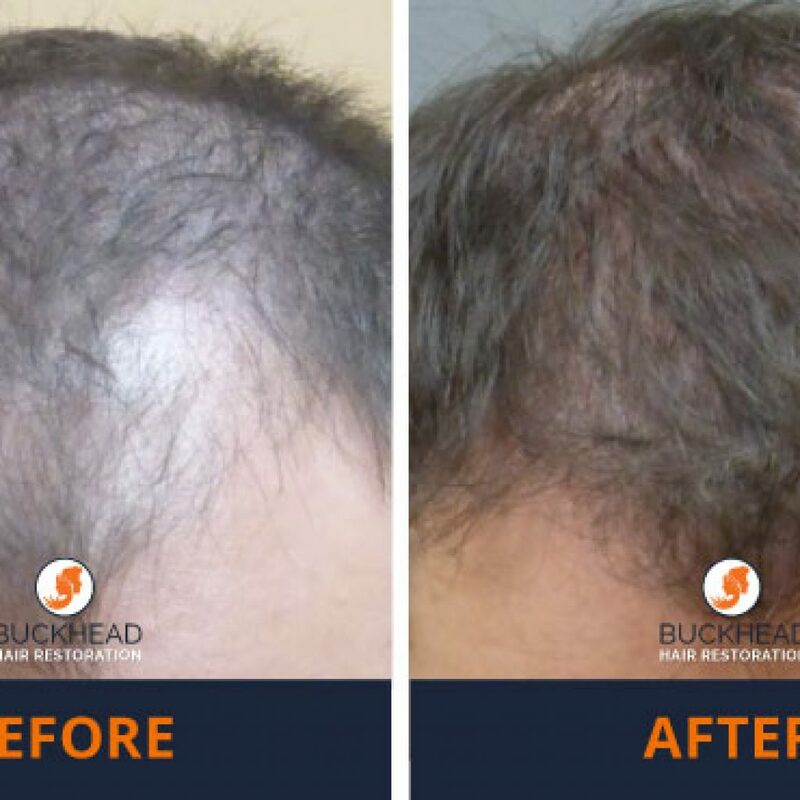 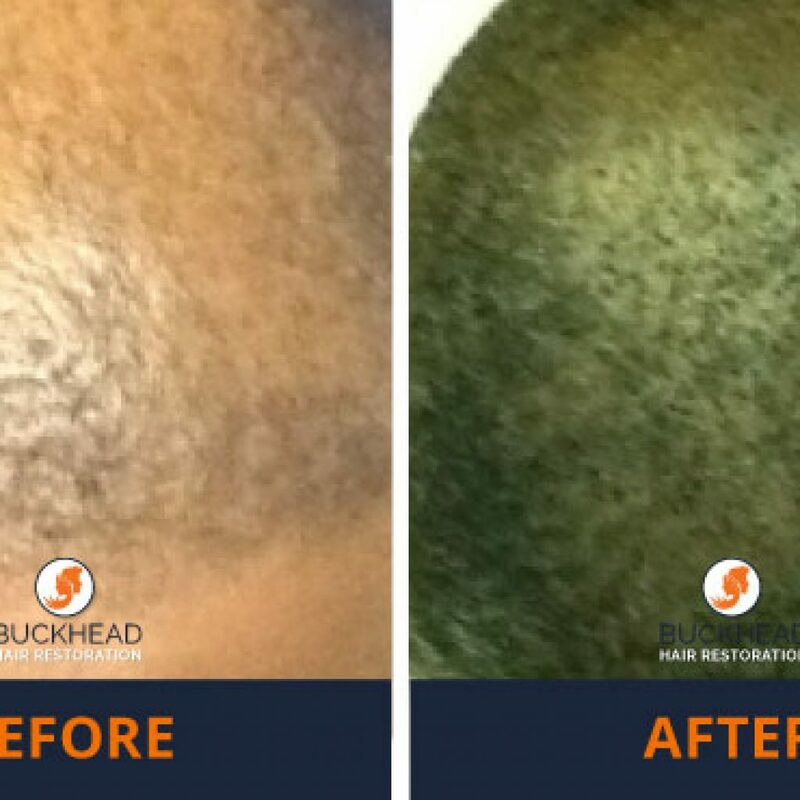 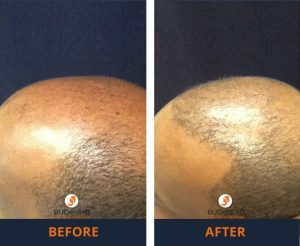 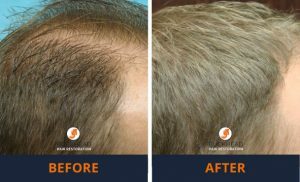 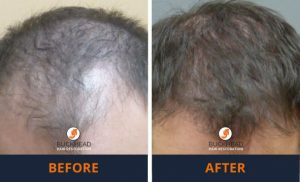 FUE Hair Restoration causes no linear scar, requires minimal downtime can be repeated within a year of the first Transplant. 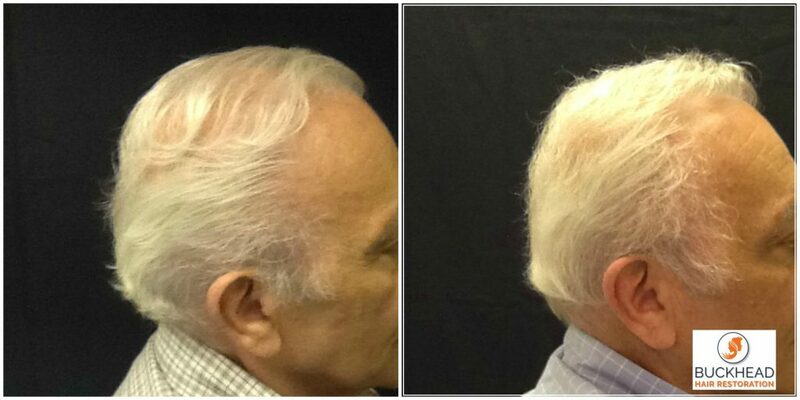 The FUE method is minimally invasive and requires no General Anesthesia. 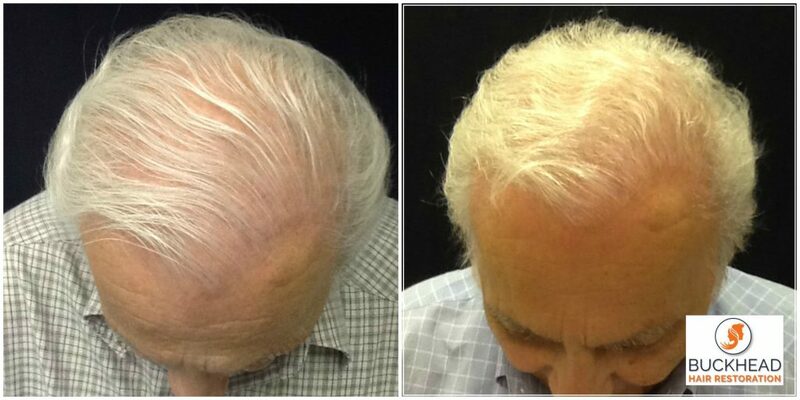 PRP Therapy requires no downtime and can be performed multiple times per year for better results. 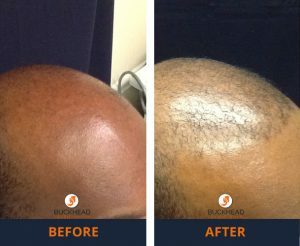 Light Therapy is non-invasive and often coupled with the FUE Hair Transplant procedure and PRP Hair Therapy.